What Would Rainbow Brite Do? The new Rainbow Brite cartoon is garnering mounds of attention. The Rainbow Brite Facebook page received almost 30,000 likes, and the trailer received 70,000 views within the first 24 hours of being announced! I've lost count of all the articles written about the fresh take on our favorite superhero, and have given up the quest to read every tweet that mentions her name. There are just THAT MANY. To me, this shows that Feeln has released the right thing at the right time, and children and adults alike are hungry for more. But not all of the attention has been positive. Fan responses have ranged anywhere from "OMG YES!! TAKE MY MONEY!!" to "You've ruined my childhood! Leave her alone!" Individuals are going through the four stages of reboot grief in rapid succession, barely coming up for air. While many comments have been gut reactions common to resistance to change, some have offered constructive criticism that I wanted to take a moment to address. Concern #1: She seems like a ditzy valley girl with no substance. First, let's take a moment to remember that all we've seen so far are short trailers for the show. Trailers are meant to grab the attention of the target audience (which is today's children, lest we forget) and hook them into wanting more. What better way to do that than with humor and silliness - kids' favorite things apart from sugar? I am certain that Rainbow Brite will not be that one-dimensional in the actual show. Secondly, Feeln knows that Rainbow Brite's original fans are now in their 30's and love nostalgia. "Valley girl" speak is very 80's, along with the word "rad" that Rainbow Brite used in the first trailer. It's quite likely that they will be throwing nods to us throughout the series, and her "valley" demeanor may be one of those nods. In case you missed all of the neon colored clothing being sold over the summer, the 80's are back in a big way, and kids are going to eat this up. And again, I don't believe that she will speak this way constantly in the show. Lastly, Feeln knows that children look for role models in the media they watch and listen to. They know that the original Rainbow Brite was a strong leader with incredible intelligence and wisdom. They don't want little girls growing up to be brainless ditzes any more than you do. Also, you may not realize that the writer for this new show, Rachel Vine, is a mother of a little girl herself. So I feel quite sure that this new Rainbow will be instilled with all of the depth of the original, with some added quirkiness, so that little girls of today will have another strong female character to emulate. Concern #2: Why couldn't they have left her design the same as the original? I don't know of any animated shows that have kept the exact same style when creating a reboot. I'm not saying that it couldn't be done, or would be unsuccessful. But that's a very big gamble for a production company to make. With market research, they can find out exactly what today's children already like, and respond to best. And I feel sure that that helped them hone in on a design that would resonate well with the widest possible audience. That doesn't mean that they didn't also take the original fans into consideration. I believe they did - as many design elements are the same or similar to the original. But I think that giving her a makeover for today's generation was a smart move, even if it's a bit jarring to us at first glance. Conern #3: Why is Starlite a muscle-ripped stallion now? To be honest, Starlite's redesign was the first thing that I found fault with. When I saw him flex his pecks, my mind immediately flew to Bulk Biceps from My Little Pony and I had a hard time reeling it back in. But after talking to other fans, I believe I have made some peace with the change, and am beginning to understand why they may have gone this direction. Perhaps they wanted to make him more cartoony? The original Starlite design was based on a real horse, and was animated to look realistic. Nothing in this new cartoon looks realistic. Even Rainbow has an enlarged head, huge feet and lacks elbows. This is simply a different animation style from the original, and his design is consistent with that style. 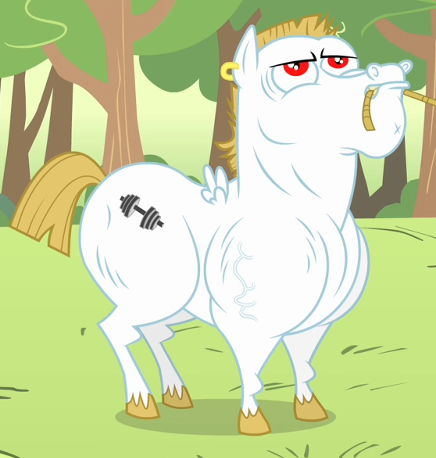 And perhaps with My Little Pony being so popular, and the comparisons between the two being inevitable, they wanted to make him look as different from a pony as possible? I don't know, but it would make sense. Conern #4: Why did she need a reboot at all? She was perfect as is! 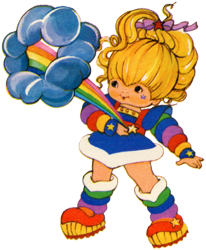 I can't argue that the original Rainbow Brite wasn't practically perfect in every way. Why do you think I've loved her since 1984? ;) But personally, 13 episodes have never felt like "enough." All we got was one little season, and the characters had so much potential that was never explored. I'm excited to have a window into Rainbow Land once again. It's also made me sad to see all of her 80's counterparts get rebooted, and Rainbow left behind. I've hated watching her to fade into obscurity. There are many of us who will always love and remember her, and are passing the original on to the next generation. But without a new show, there are many kids who would never be exposed to Rainbow Brite. Especially since the old episodes aren't officially available on DVD. I'm hopeful that this new series will breathe new life into the franchise and keep her rainbow from fading away. Even Jezebel.com reported that she "earned" a reboot, and I fully agree. For those of you who are still heartbroken over your beloved childhood friend undergoing a change, I want to offer some encouragement. The original Rainbow Brite has not gone anywhere. Her episodes are still available on YouTube. 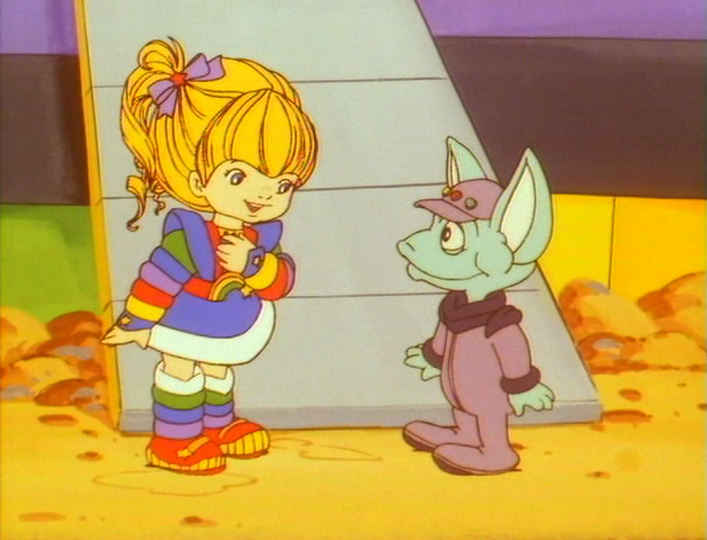 Her pictures, songs, stories, and more will still be available on RainbowBrite.net and RainbowBrite.co.uk. And her fans and their creations will still be showcased on RainbowBrite.org. My goal since beginning my first website in 1997 was to keep Rainbow Brite from being forgotten, and that goal has not changed. Watching this new show will not damage our memories of the old. And enjoying the new show is not a betrayal to the original. My final thought about how we, as fans, should react to the new cartoon is simple: what would Rainbow Brite do? Would she insult this newcomer and the individuals who created her? Would she immediately slam the door in the face of something different? Or would she try to keep an open mind until she had all the facts, and welcome the opportunity to make a new friend? I think you know the answer.